With so much attention paid to the classic diesel types it’s easy to forget the sterling work put in by the fleet of electric locomotives over the years. Many of these types are now confined to history and so the time is right to look back at the range of mainline electric locos that have run in Britain. 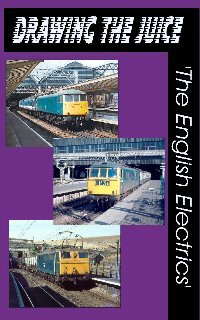 Featuring no less than 15 classes of locomotive ranging from 71s & 73s to 76s & 77s, as well as the ac electric fleets, this programme spans almost 50 years of electric traction in the UK. Liveries featured range from B.R. black, electric blue & S.R. malchanite green to VXC, GNER & freightliner. EM1s & EM2s at Sheffield Victoria & Manchester Piccadilly including all 7 class EM2s. 73s on rare workings at Reading, Leamington, Colwyn Bay and an outrageous shot of a 73 on diesel power at Victoria! Film has interactive on/off commentary button.